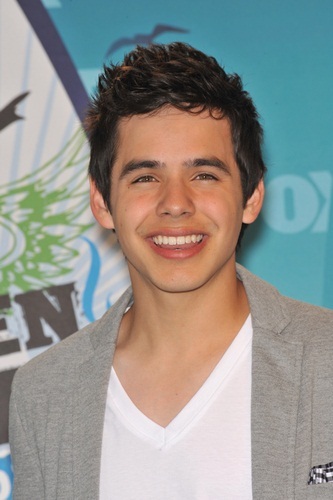 David Archuleta is an American singer, songwriter, musician, and actor. He was a contestant on Season 7 of the show American Idol, finishing second. David’s father, who is American-born, is of Basque, Danish, Irish, German, and Iroquois Native American descent. David’s mother is from Honduras. 90 percent of Hondurans are of Mestizo descent, a mixture of European and Indigenous ancestry. David’s paternal grandfather is James Jose Rosendo Archuleta (the son of James J. Archuleta). David’s paternal grandmother was Claudia Ann Diehl (the daughter of Warren Claude Diehl and Mary Violet “Vi” Brown). Warren was the son of Warren Charles Diehl and Thelma Katherine Searle. Mary was the daughter of Danish parents, Jens/James Einar Brown and Kirstine Marie Jensen. David’s maternal grandfather is Wilfredo Mayorga Alonzo (the son of Jose Joaquin Mayorga Amador and Isabel Alonzo Martinez). David’s maternal grandmother is named Guadalupe Eulalia Rodriguez Mendoza. Maternal grandfather is Wilfredo Mayorga Alonzo, son of Jose Joaquin Mayorga Amador and Isabel Alonzo Martinez. Maternal grandmother is Guadalupe Eulalia Rodriguez Mendoza. James Jose Rosendo Archuleta->James Jose Rosendo Archuleta, son of James J. Archuleta. His mother’s maiden name is Lupe Marie Mayorga. Was his paternal grandfather entirely of Basque ancestry?